The object of such letter of agreement is the execution of a professional artwork and design services for a Desgin Project (“Design Project”) as per the conditions agreed by the parties in this document and descriptions included on the briefing (“briefing”), as the values described on the numbered invoice (“numbered invoice”), all attached hereto. 1st Paragraph: Such - Design Project - shall be produced and delivered in the file formats considering the type of design graphic services being purchased among the options set forth in the following paragraphs of the present article. • PSD file(s) (Software: Adobe Photoshop) in high resolution, 300dpi (pixel/inch). • 2 versions of the Cover Artwork in JPEG file, being one version without band logo and text on it, and another version with logo and texts merged to the artwork. All files in High Resolution (300dpi) for web and printing. • JPEG and PSD file(s) in full resolution, 300dpi (pixel/inch) / CMYK colors for printing. • JPEG and PSD file(s) in full resolution, 300dpi (pixel/inch) / RGB colors for web. • *PDF file(s) in full resolution, 300dpi (pixel/inch) / CMYK colors for printing. *will be delivered only upon - purchaser - request. • PSD file(s) (Software: Adobe Photoshop) with High Resolution. • Ai / EPS file(s) (Software: Adobe Illustrator / General “Vector” Softwares). (a vectorized logo is a softaware file ideal for printing and great for any application as you can scale it in the biggest size without quality loss). • PNG file(s) with high resolution and transparent background on it for easier apply. • *JPEG file(s) with high resolution and white or black background on it. *will be delivered only upon - purchaser - request. • PSD file(s) (Software: Adobe Photoshop) in High Resolution 300dpi (pixel/inch). • JPEG and PSD file(s) in full resolution, 300dpi (pixel/inch) / CMYK colors for printing and RGB colors for web. • PDF file(s) in full resolution, 300dpi (pixel/inch) / CMYK colors for printing. • *Ai / EPS file(s) (Software: Adobe Illustrator / General “Vector” softwares). *only if the artwork is a vectorized art. The full price (“full price”), for the professional artwork and design services of the - Design Project -, is the value provided for in the - numbered invoice - that is based on complexity and - briefing - of the - Design Project - requested by the - purchaser -. 1st Paragraph: The - full price - to be paid for the execution of the artwork and design services for the - Design Project - shall be paid upfront within the dates provided for in the - numbered invoice -. • The Second installment (“second installment”) is equivalent to 40% (forty percent) of the - full price -, and shall be paid after the - Design Project - be approved upon the sending by the - seller - all final high res water-marked sample (“sample”) previews. 3rd Paragraph: In any of the cases provided for in the first and second paragraphs of such article, shall the payment not be done until the expiration date provided for in the - numbered invoice - , a 10% fee over the - full price - or - first installment - , plus an additional 2% fee by day may be charged and a new payment request may be sent to - purchaser -. 4th Paragraph: In the case provided for in the first and second paragraph of the present article, shall the - first installment - or - full price - not be paid after 15 (fifteen) days of the expiration date set forth in the - numbered invoice -, the present agreement shall be considered void and the - seller - shall have the right to re-sell or re-use the - Design Project - to any such new purchaser or project. 5th Paragraph: In the case provided for in the second paragraph of the present article, shall the - second installment - not be paid after 15 (fifteen) days of the final - sample - previews being approved by the - purchaser -, the present agreement shall be considered void with maximum of 30% (thirty percent) of the - first installment - paid to be refunded upon - purchaser - refund request, and the - seller - shall have the right to re-sell or re-use the - Design Project - to any such new purchaser or project. 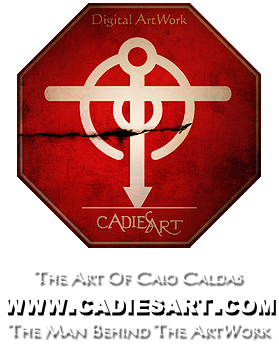 The payment of the - full price - in any of the cases provided for in article 2 of the present agreement shall be made through digital financial transactions via PAYPAL ACCOUNT (https://www.paypal.com) at the seller’s paypal account e-mail address (service@cadiesart.com). 1st Paragraph: For purposes of correct identification of payment by the - seller -, the - purchaser - shall identify itself (or the band’s/company’s name) as a “note” when sending the payment via PAYPAL. 2nd Paragraph: The - full price - may include the paypal fees (“paypal fees”) - that varies from 7% to 8% -, and must be included by the - purchaser - on all payment(s) sent via paypal account to the seller’s paypal account address (service@cadiesart.com). 3rd Paragraph: In the case provided for in the second paragraph of the present article, the - paypal fees - will be assumed and paid by the - seller - only if the - seller - previously agree in negotiation with the - purchaser - via e-mails, considering also - purchaser - available budget and the - full price - for the - Design Project - costs. 4th Paragraph: Payment delays by - purchaser - faults may also delay its - Design Project - original established dead-line. The - Design Project - shall be delivered digitally, by e-mail, in high definition format, as either an attached e-mail file or a link to download such files on seller’s FPT server or from seller’s WeTransfer account (www.cadiesart.wetransfer.com/). Files will be sent to - purchaser - only upon completion and approve of the professional artwork and design services for the - Design Project - and all payments done and signed agreement scanned copy received. 1st Paragraph: During the execution of the professional artwork and design services for the - Design Project - , only previews with watermark shall be sent as - samples - to purchaser for approval. 2nd Paragraph: In case the delivery by the - seller - of all high res files for the - Design Project - be delayed for more than 1 month, from the previously agreed dead-line set forth on this present document, by purchaser’s reasons and faults, the - seller - may charge the - purchaser - USD$50.00/hour for the extra working time needed to conclude the project within the new - purchaser - dead-line agreed by both parties. 3rd Paragraph: By download or/and use all high res files of the - Design Project -, the - purchaser - also agree to all Terms and Conditions and values set forth to this present document and agreement. 5th Paragraph: The - seller - has no obligation in delivery the high res files for the - Design Project - before receive a scanned copy of this present agreement signed by the - purchaser - and before all pending payments be sent by the - purchaser -. Any alterations in the conditions of the professional artwork(s) and design services of the - Design Project - executed in the present agreement shall be notified by the party responsible for such alterations as a means to guarantee the full compliance of the present agreement. The cancellation and refunds of the - Design Project - , as per the conditions agreed by the parties in this document, shall be made among the options and values percentages set forth in the following paragraphs of the present article. 1st Paragraph: Shall the - purchaser - notify the - seller - about the cancellation of the present agreement and services within 7 days from it’s payment date and before the - seller - starts to work on the - Design Project - , the - seller - shall refund to - purchaser - 100% of value paid. 2nd Paragraph: In the case provided for in the first paragraph of the present article, shall the - purchaser - notify the - seller - about the cancellation of the present agreement and services after the - Design Project - get started but before it’s completion, the - seller - shall refund to - purchaser - minimum of 30% (thirty percent) and maximum 60% (sixty percent) of the value already paid. 3rd Paragraph: In the case provided for in the first and second paragraphs of the present article, shall the notification of the cancellation of the present agreement occur by the - purchaser - after the completion or dispatch of all high resolution files of the - Design Project - by the - seller -, the - purchaser - shall have no right of refunds on the values already paid to the - seller -. 4th Paragraph: In any of the cases provided for in the present article, if the - Design Project - not be approved by the - purchaser - and the - purchaser - request the cancellation of the present agreement and services with full refund of 100% of the value already paid, the - seller - shall refund to - purchaser - 100% of the value paid only if the - seller - gives to the - seller - the permission and right to re-sell or re-use the - Design Project - to any such new purchaser or design project. The - Design Project - shall only be made available, disclosed in high definition format, and sold to - purchaser - , being the - seller - obligated under such agreement to refrain from providing artworks and design projects with the same characteristics of the - Design Project - to subjects foreigners to the present agreement. 1st Paragraph: All artworks and designs done by the - seller - must remain unchanged by the - purchaser - after all high res files of the - Design Project - be delivered to the - purchaser -. 2nd Paragraph: No parts of the artwokrs and designs done for the - Design Project - by the - seller - can be re-used or manipulated in other artworks or designs by the - purchaser - without the previous notification and approve by the - seller - . This agreement grants the cession of all copyrights of the - Design Project -, allowing the distribution, redistribution, commercial and non-commercial use of the - Design Project - by the - purchaser -. 1st Paragraph: The - purchaser - is obligated under these provisions to credit the - seller - as the artist and designer of the - Design Project - as “Artwork by CadiesArt - www. CadiesArt.com” while displaying by any means the - Design Project -. 2nd Pagraph: The - purchaser - is obligated under the present agreement to send to the - seller - by mail or courier the physical sample of the - Design Project -, such as a CD, LP, T-Shirt, or any other released product using the - Design Project -. 3rd Paragraph: The - purchaser - shall spend its best efforts to credit the - seller - , at least once , while displaying the - Design Project - in digital medias such as on Facebook and others websites and press releases. 4th Paragraph: All artworks created by CadiesArt - Digital Artwork are protected by CadiesArt.com, copyrighted registered and certificated for its rights protected by SafeCreative.org. We reserve the right to modify this agreement or it’s policies relating to the website or graphic services at any time, effective upon posting of an updated version of the present terms and conditions on the website or in future orders. The law applicable to the present agreement is the Brazilian law, and the elected forum in case of judicial discussion is the Forum of São Paulo, SP, Brazil.